The tartan beret Black Watch can match your even tartan kilt or other outfit for a beautiful reference to Scottish culture in a modern style. 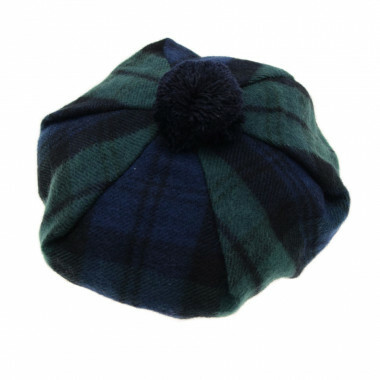 This traditional Scottish beret is in Black Watch tartan, 100% lambswool, with its pompom. It is soft and comfortable to wear. This is the essential accessory of your traditional outfit with your kilt. The Black Watch or Royal Black Guard (Royal Highland Regiment) is a tartan that comes from infantry who were to maintain peace in the Scottish Hightlands in 1725.